When I click in the link "" which appears when I have a new notification, it takes a long time until anything happens. The flyout (or a spinner, or anything) should appears immediately when the user clicks on this badge. Sometimes it takes more than a second. bzimport set Reference to bz54486. I don't know if any intentional delay has been placed on clicking the link in personal tools. I doubt it, but it's certainly possible. Unless we absolutely must, we should avoid implementing a spinner. Ideally notifications should just be instant and should just work. Do you have any means of measuring how long opening the notifications window takes currently? I looked at my browser console, and it seems that every time you click the icon, it makes an API request to fetch your notifications, which is probably causing the delay. Also, if you click the icon, have the flyout show up, then hide it again, and click the icon a second time, it makes another API request, causing the same delay. I wonder if this is one of those situations where it's a choice between a small delay and fully up-to-date data or possibly out-of-date data but immediate (locally cached) data. The har file with the data from previous test. Actually, I don't really have the time nor the incentive to finish working on this, sorry. Anyone can feel free to pick it up. Under my profiling with xdebug, most of the time is spent in wikitext parsing, generating pretty timestamp etc. With the tab separation, we are displaying 25 items max per tab which is almost 6 times the number we used to display in the overlay. More records means more time to process, this is expected. However, I haven't never seen a record of 5 seconds, this is way higher than what I see in mediawiki ( with 25 flow notifications + 15 other notifications ). Does this happen at consistent matter? If this is really a problem, we could find a way to cache the entire notification to skip the parsing. Wouldn't be possible to show the box immediately with a static content such as "Loading..." and let that text be replaced by the actual content when it is ready? This way the interface would be a little more responsive, and the user would know that there is something being processed instead of being tempted to click in the link again (unnecessarily). Even if it usually takes one second until the whole content is available, when it takes more than that, it is a little confusing. It just took me 15 seconds for the API request for my flyout to open on meta. There are a couple of things we can do, one attempt is to clear old notifications to keep the volume low. 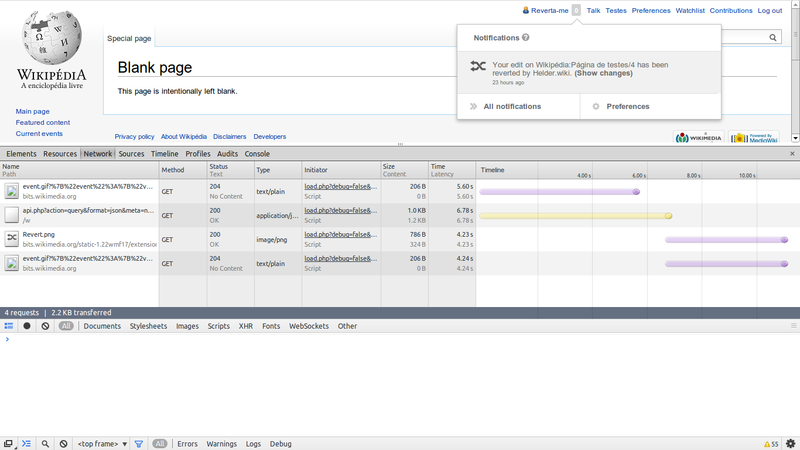 The other possible solution is to denormalize notification table by adding event_type along with indexes. didn't really expect such cases and user would have tons of notifications. On places like meta and enwp where Flow is only on one or two test pages, most active? users will have lots of normal notifications, but very few Flow ones. As a first step, it seems the appropriate bits of code need to be instrumented and the production profile logs need to be reviewed to see where the time is really spent. My only worry is we might need to let echo go to bigger wiki's for enough profiling data to be collected? go to bigger wiki's for enough profiling data to be collected? I just saw it take 15+ seconds on enwikisource too. hmm, flow isn't even on enwikisource so the problem isn't directly related to the alert/message split. Something else is going on. It is already annonying now, and T93109: T1. Convert unread LQT notifications into unread Flow notifications will probably make it worse. This seems to have become worse in the past day or so (maybe since async RL?). Legoktm mentioned this in rMWba09b521ac60: Updated mediawiki/core Project: mediawiki/extensions/Echo…. Legoktm mentioned this in rMEXT7a2c0ff992f5: Updated mediawiki/extensions Project: mediawiki/extensions/Echo…. https://grafana.wikimedia.org/#/dashboard/db/echoflyout is the graphite data btw. With rECHO1ac72cc01ab5: Split alerts and messages in Echo there is now immediate feedback to the user when they click on the badge.